13 Feb Down for the count? The spot Chicago futures contract after posting gains in the post superbowl trading days, has been hit with an almighty hammer overnight. The future contract declined by A$6 overnight (Figure 1). The fall in prices was due to a combination of factors (as tends to always be the case), the main ones being the expectation that XI-Trump trade talks are not as jovial as previously anticipated. Another reason in the sharp overnight correction is due to the imminent release of backlogged data by the USDA. The data released tonight will be the first information from the USDA since mid-December. Will this create fireworks or will it fizzle out? The RBA have changed their tune on interest rates. In the past year the commentary was of a likely interest rate rise, however this week they are pointing towards potential interest rate falls. The impact of these statements was felt in the currency market with the AUD falling to 71¢ (Figure 2). This is the second major crash in the AUD since the start of the year. 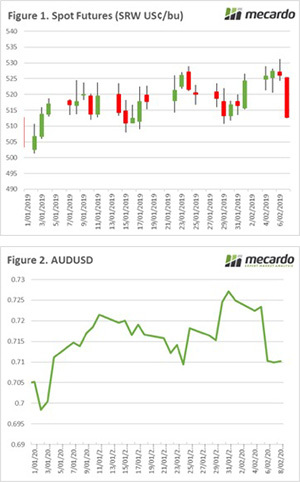 After the last crash the market recovered shortly afterwards, the question will be – is the AUD down for the count or like Tyson Fury will it regain its legs? A reduced local currency will help with exports. On the flipside however it will increase the cost of imported products such as fuel and fertilizer. Due to an unexpected error, the Mecardo website has lost some functionality. We are currently working day and night to resolve the issue. 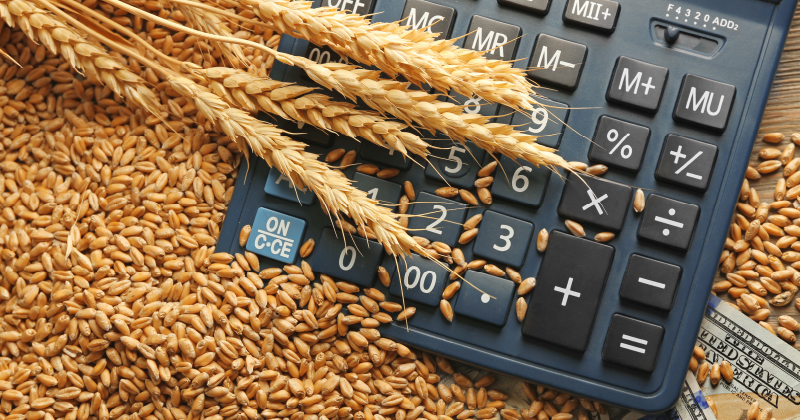 The market will be chewing through the data releases from the USDA overnight, which will give the market its direction over the coming week.